Amazing what you can do from the comfort of your sofa when you’re not very well! I’d had to draw the curtains in the bright afternoon light, it really wasn’t helping the headache. That’s when I became rather captivated by the shapes and swirls from my vape (e-cigarette) in the shaft of golden light slanting in between the curtains. 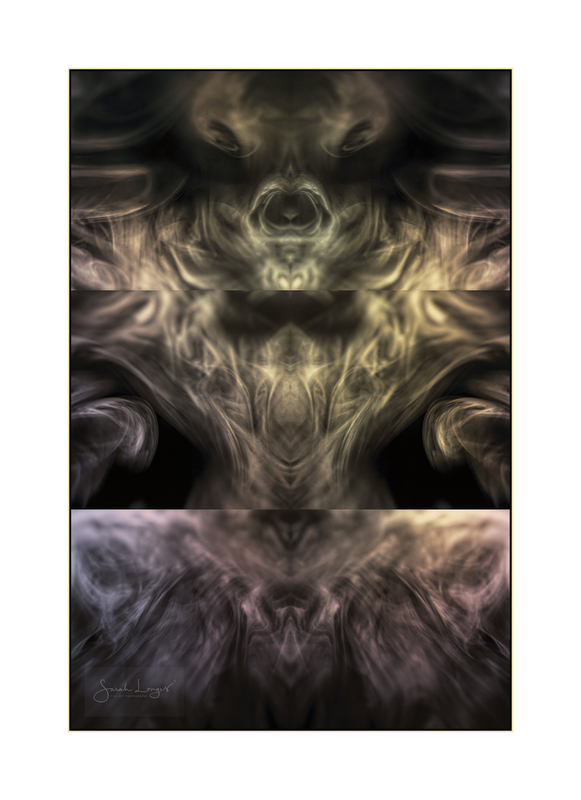 Piecing a few photos together the results started shouting H R Giger at me! I feel more experimental Vape-art could be coming this way soon. 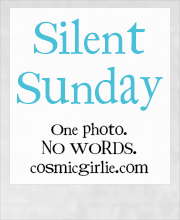 Sharing this for today’s Fotospeed weekend photography challenge. 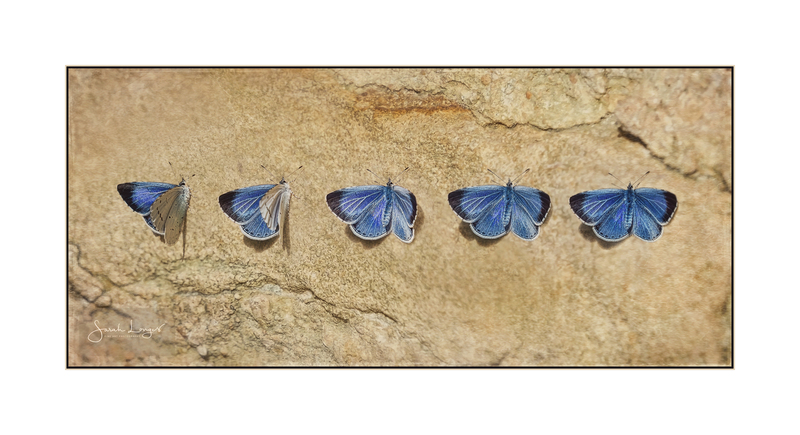 I couldn’t resist creating this composite from the images I captured of a female Holly Blue butterfly, opening up her wings in the warm sunshine! The rich, golden stone of The Cotswolds really set off the intense colour of the upperside wings. I am including a gallery of the individual images and a haiku based poem inspired by the joy of finding a blue with her wings open! My own words cannot presume to match the genius of David Bowie’s lyrics. This photomontage was inspired by lines from his last release Lazarus, on his farewell album Blackstar. He starts simply by saying “Look up here, I’m in heaven” and finishes by reassuring us that “Just like that bluebird, Oh I’ll be free, Ain’t that just like me”. I applied a writing style called the Cut-up Technique, a Dadaist form often used by Bowie, on his own song titles to create a poem of remembrance. My own quirky way of saying farewell to a great artist, who has and always will be ever-present in my life and work. I know it’s gonna happen someday. I’ve put a lot of time and care into processing my image for this week’s challenge. The original photo was taken several years ago at London Zoo. I’ve only ever seen tigers in zoos. I doubt that I will ever get to see a tiger in the wild! As individuals, groups, nations and citizens of Earth we need to take more care of our environment and our precious wildlife. There are more tigers in captivity, including as peoples pets, than exist in the wild. Tigers are still being hunted and poached for the rich elite, who hold onto arcane beliefs of medicinal benefits from parts of this beautiful animal. In the next century it is entirely possible that all that remains of the tiger will be images in books and online; perhaps a few stuffed exhibits in museums. We must do all that we can to protect the world’s most endangered species but we also need to look to our own local wildlife and their diminishing habitats. In the UK the RSPB are running a campaign to Give Nature A Home. There are twenty different and simple things that you can do in your garden or neighbourhood to give our wildlife a helping hand. With Winter approaching this is especially important! All over the World there are National and Regional charities and organisations that you can contact to find out how to help your local wildlife. If you don’t have a garden you can get involved with volunteer projects in the countryside or you can donate money to help these organisations achieve their goals. 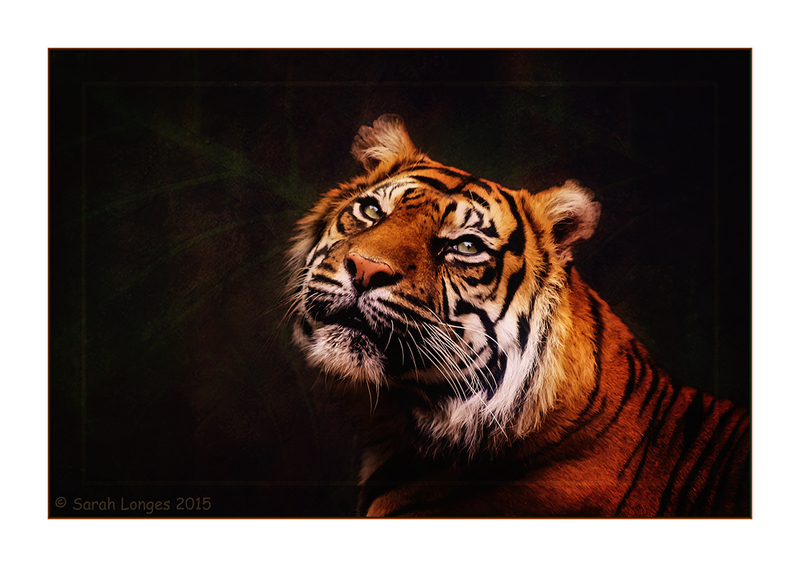 My image is called Tigers of Memory, named after a truly beautiful song by Celia Barrett. Please do follow the link and listen to the song, it’s very poignant! Time is running out for much of our wildlife, not just the tigers. Please try to do something to help protect them and ensure that they don’t fade from the World of Life, to exist only in our memories. For the final week of July’s One Four Challenge, from Robyn Gosby, I’ve taken inspiration from some of the great masters of landscape painting. I wanted to add to the romanticism of the scene with a vibrant oil-painted effect and some colourful wildlife. In Lightroom I used an onOne Movie Look preset, Arkham, on my Week 1 edit. I customised this to get the colour balance and tonal quality that I wanted. 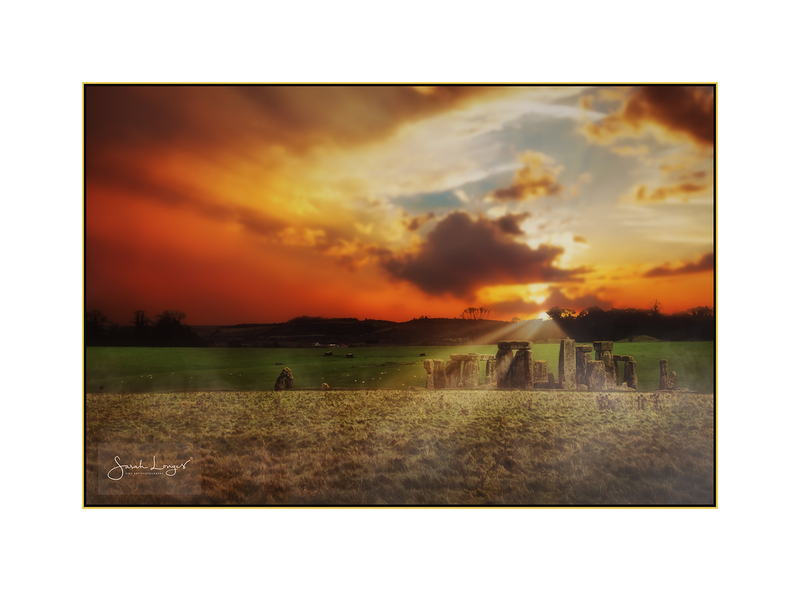 Then I moved on to Photoshop CC to create my montage and add textured effects. From two other photos taken at Dapdune Wharf, I used the Lasso Tool to select and copy the foxes, and then placed them onto the background image. I merged the two layers with the foxes into one and adjusted Hue/Saturation to match the tonal qualities in the background. 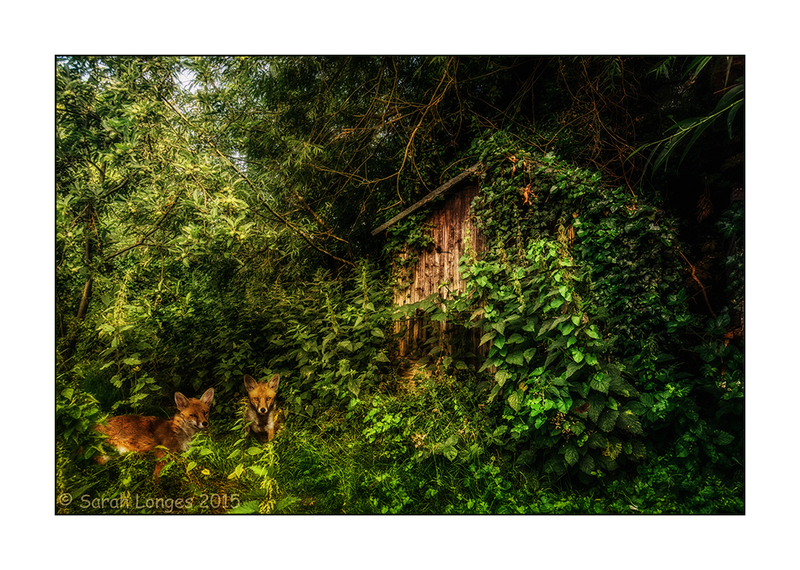 I then applied a Grad ND adjustment layer to the foxes to match the shadows in the background. I duplicated the background layer and aligned this above the Grad ND layer. I added a White Masking Layer to the background copy and using a Soft Black Brush gradually removed areas of foliage to reveal the foxes. Finally I applied a Greater than Gatsby Golden Sunset Burst to the top right corner to match the natural light on the foxes. To create the oil painting effect I created three copies of my new montage. To the first I applied Conte Crayon with Canvas Texture in B&W. To the second I applied Rough Pastels with Canvas Texture and Craquelure filters. To the third I added a Fractured Shell Texture which I blended using Multiply and adjusted the opacity to suit. I then copied and pasted both other edits over this new background and blended using Soft Light for the B&W and Multiply for the second edit. It was a lot of work but so much fun! The saying goes, “It’s the early bird that catches the worm”. This week we were challenged to get up early and capture the morning light. My challenge while in Devon over Easter, was to get up much earlier than I usually do and catch the birds! Specifically, birds of prey. I’ve been sharing a few of these images with you over the past few weeks, but this montage took some time to compose and get the feel of motion and light that I wanted. The story that I hoped to tell with this image is of the special relationship between the owl and her owner. This is Pepper, a pure-breed British Barn Owl (Tyto alba alba), flying to her handler, Steve Hopper from South Hams Hawks and Owls. Steve is a falconer who runs a raptor rescue centre and flies his birds of prey for educational displays and photography groups. Pepper was rescued at the age of sixteen when her owner passed away. She’s now twenty one, which is very elderly for a Barn Owl! She’s almost completely blind so can only manage short exercise flights, relying upon the sound of Steve’s voice and the taps he makes on the glove to guide her to him. Watching her short flights was a real privilege. She flies high and, as Steve put it, creates wonderful “angel” shapes with her wings.